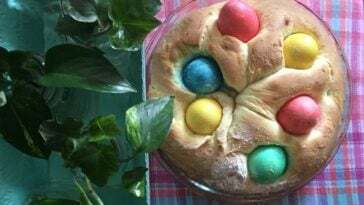 We always serve the traditional baked ham for Easter. It smells good, it tastes good, and it reminds us of all the family holidays from our past. But then there is the problem of what to do with the bone and all the scraps? The first thing I recommend to do with your leftover Easter ham is make stock. First, you’ll want to trim any big chunks of meat off the bone and reserve those scraps for the following recipes. Next, add the ham bone to your largest pot and cover with water. (A crock pot would be ideal, but I’ve yet to find one big enough for my massive ham bones.) Add parsley, thyme, bay leaves, and peppercorns, and cover with water about 1″ above the top of the bone. Slowly simmer, uncovered, for about 3-4 hours. When you’re done simmering, strain the stock through a fine-mesh sieve and into a large bowl. And that’s it—easy as pie. Now you have stock from which to make your favorite smoky delicious split pea soup, white bean soup, and/or to simmer with your collards. You can keep the stock in the fridge for a few days or freeze for a few months. 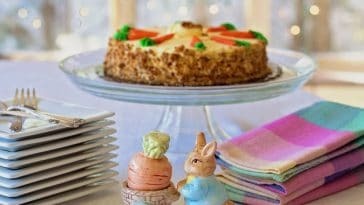 After you make your ham stock, try out these ideas on how to use your Easter leftovers to feed your family. 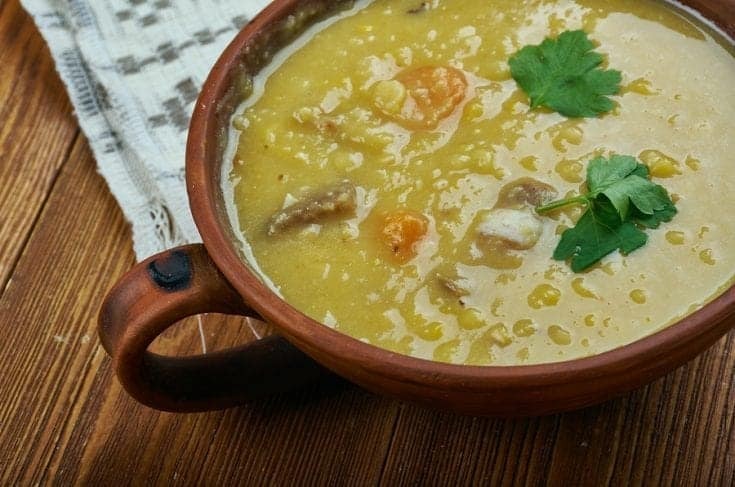 Split pea is a very simple soup. It freezes well and is very welcome after a few weeks of chicken dinners. Just add the “Holy Trinity of Soup” (celery, carrots and onions) to your basic ham stock. Next you’ll need to add the leftover diced ham and spices, stir occasionally, and then simmer until it’s a delicious soup. Heat olive oil in large stock pot and add onions, celery, and carrots. Saute until the onions are soft. Add ham stock, diced ham pieces, and split peas. Simmer for at least one hour or until the peas have softened and disintegrated into a rich, tasty stew. Season with salt and pepper if you need to, but the ham stock is so tasty, it's probably unnecessary. 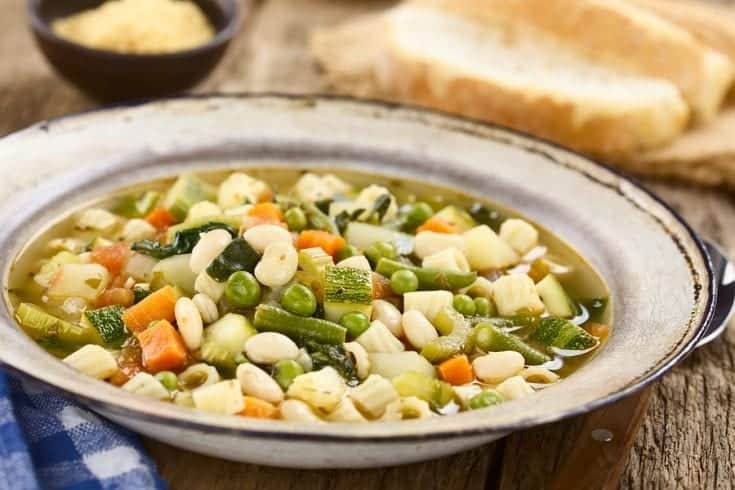 This soup is rich, filling, comforting and can feed a large family on a small budget. You can simplify this recipe by using canned beans, but it’s much cheaper, has far less sodium, and has a better texture when you use the dry beans. 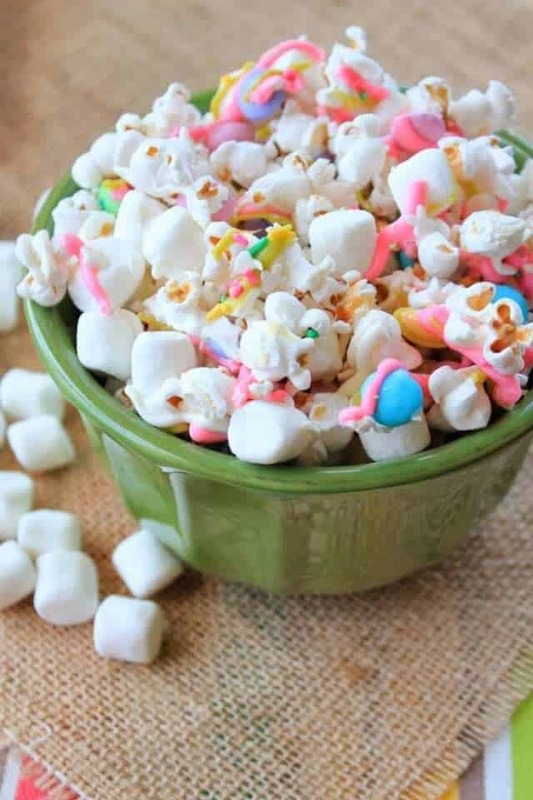 It’s a great way to use up your leftover Easter ham. Soak the dried beans in water overnight to soften. Or if you have an Instapot, you can speed up the process. Dry the beans when they're ready to use. Heat a 10-quart stock pot and add oil, ham bone, onions, and garlic. Saute this mix until the onions are softened. It should take about 6 minutes. Add in the drained beans, thyme, spices, ham stock, and any remaining ham scraps. Bring the soup to a boil and then lower the heat and simmer for 90 minutes up to 2 hours until the beans are soft and the soup is the thickness you prefer. Discard the bone. If the soup is too thick, add a little water. You can also add salt and pepper to taste if needed. 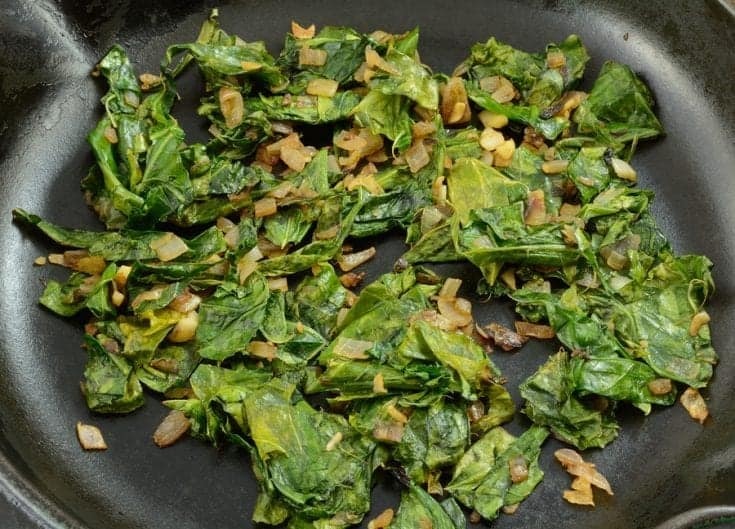 These collard greens may take a few hours to simmer, but they only require a few minutes of hands-on cooking time. And they can be made ahead and reheat beautifully—in fact, they taste even better on the second or third day. Cook finely chopped bacon in a 10-quart stock pot over medium heat for 10-12 minutes or until crisp. Add onion and saute for about 8 minutes. Add the ham and garlic and saute for an additional minute. Stir in stock/broth and remaining ingredients. Some people reuse the left-over pot liquor for their next batch of collards, and some add more ingredients (beans, more pork, etc) and make it a soup. Whatever you do, don’t throw all that vitamin rich flavor away. 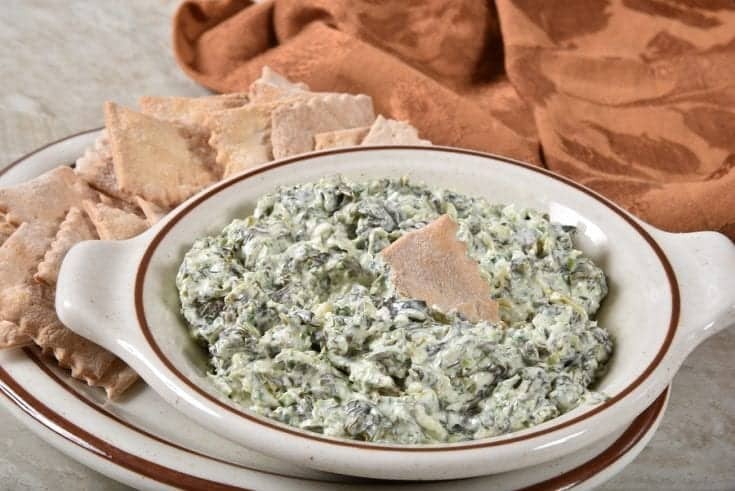 This spinach dip recipe is great for regular snacking, and you can also make it for parties or as an appetizer for a nice dinner. It’ll use up your leftover Easter ham so you don’t need to throw anything away. Pair it with homemade crostini for a really delicious combination that will leave everyone satisfied. Melt the butter in a medium sauce pan over low heat. Add onion and cook for 3-5 minutes or until onions are softened. Whisk in flour and continue to cook for another minute. Add your milk or cream and whisk until thickened. This should take about 4 minutes. Remove the pan from the heat and stir in paprika, ham, half of the cheese, and the dry spinach. Season with salt and pepper before transferring mixture to a 1-quart baking dish. Top with your remaining cheese and sprinkle lightly with more paprika. At this point, you can cover it and refrigerate. When you're ready to serve, bake for 10 minutes at 425 degrees. Before you take it out of the oven, adjust the oven to broil and leave it in for an additional three minutes. Everyone in my family loves a Denver omelet, but there’s no way I can whip up omelets fast enough so we can all eat at the same time. The same goes for toast. By the time I make four servings of toast, the first slices are cold. There is just too much running around to enjoy the meal. 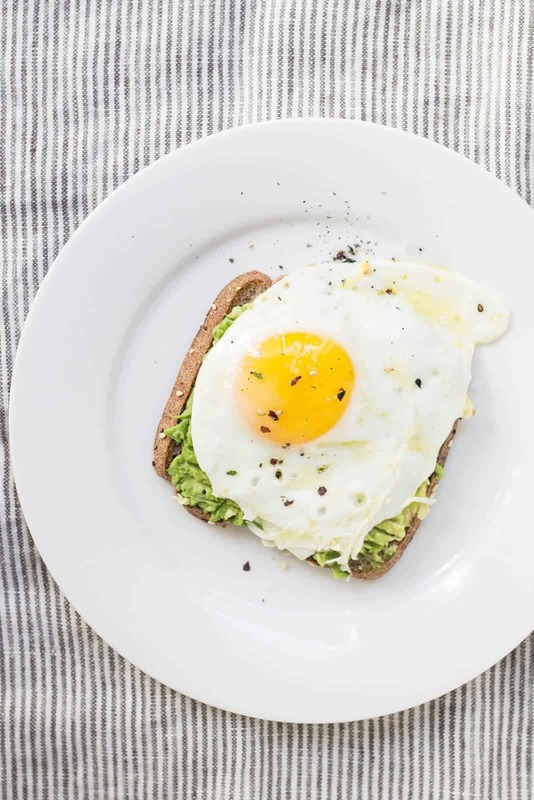 This beautiful and delicious take on the Denver omelet can be made the night before and refrigerated until you are ready to bake. Then you can all sit down and enjoy a hot, fresh breakfast without all the jumping around. 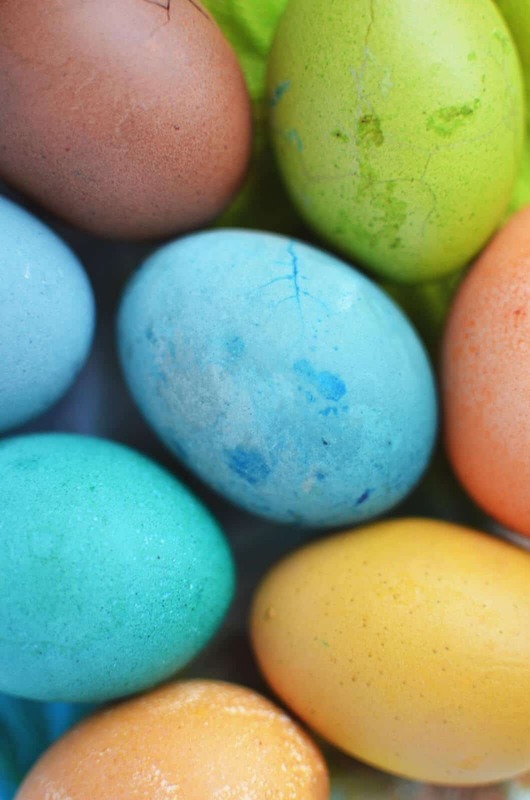 In a large mixing bowl, beat 6 large eggs with your cream or milk. Add the ham, peppers, onions, mushrooms, and 1 cup of cheese. Add in the bread pieces and lightly mix. Pour your mix into a buttered 9 x 12 baking dish and sprinkle the remaining cup of cheese over top. At this point, you can refrigerate overnight if you need to. Can you freeze breakfast strata? Yep! After you assemble the casserole, instead of just refrigerating, place it in the freezer. 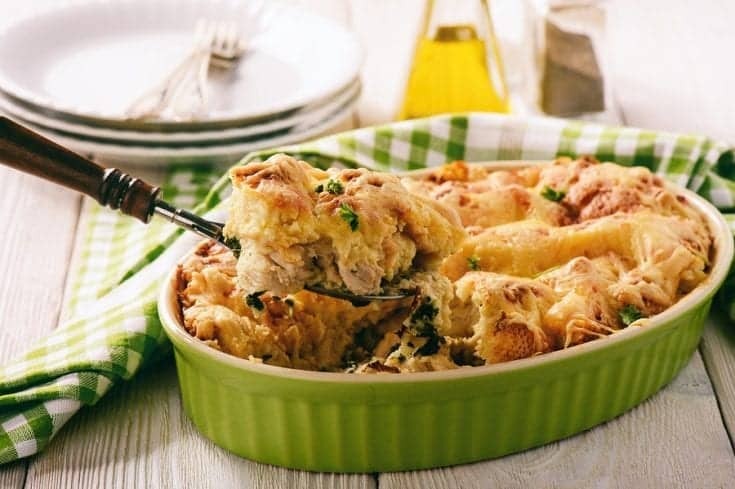 Breakfast casseroles can be frozen for up to 2 months, then just thaw overnight and bake as directed.